Well everyone knows who the late Michael Jackson was. While famous for being the King of Pop earlier in his career, he later become famous for questionable personal relationships and of course his appearance. Fans looked on for years as Jackson radically altered his appeareance. He only ever admitted to having had two nose jobs. 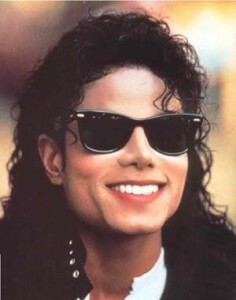 His skin, which became paler as time progressed, was attributed to a skin condition called vitiligo. From looking at his before and after photographs, it was clear to many that he underwent numerous transformative plastic surgeries. He might have had nose jobs, cheek implants and in new cleft chin put into his look. Multiple nose jobs can result in a break down and eventual collapse of the nasal cartilage. A dermatologist named Dr Arnold Klein claimed on Larry King he had at one point rebuilt Jackson’s nose with hyaluronic acids (god only knows if this was really true or false). Jackson’s vitiligo was said to be severe and splotchy, resulting in him using skin bleaching treatments extensively to lighten up his entire skin complexion to one lighter color. He would wear very heavy stage make up out in public. His pinched nose combined with the pale skin and make up made him look markedly difference than he had in his youth. The surgeries did take an eventual toll on his face making him look surreal. The public ate it up and always speculated about his probable secret cosmetic surgeries. Before and after comparisons were ruthless, though everyone loved him beyond belief as an artist.